The Kerrie Show: #Swago: Unwrap Your #Swagbucks Bonus and Have Fun Doing It! 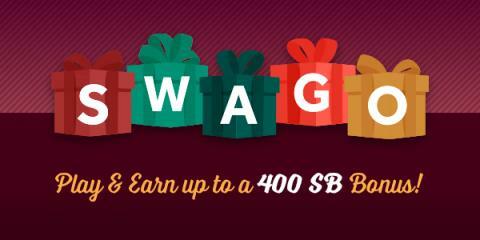 #Swago: Unwrap Your #Swagbucks Bonus and Have Fun Doing It! What is SWAGO, you ask? It's a bingo-inspired promotion run by Swagbucks, a website that rewards you with points (called SB) for completing everyday online activities. When you complete a task, watch that square change colors like a twinkling Christmas light. You can then redeem those SB for free gift cards. If you've never used Swagbucks, participating in SWAGO is a great way to learn how to use the site, and it's a lot of fun!